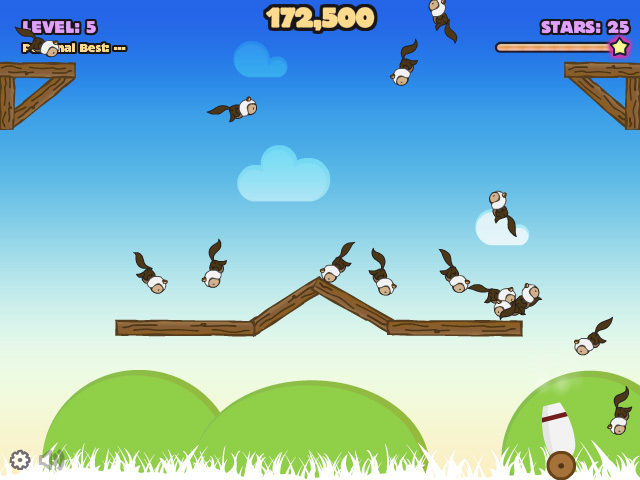 Be as nutty as a daredevil squirrel – play Crazy Go Nuts! 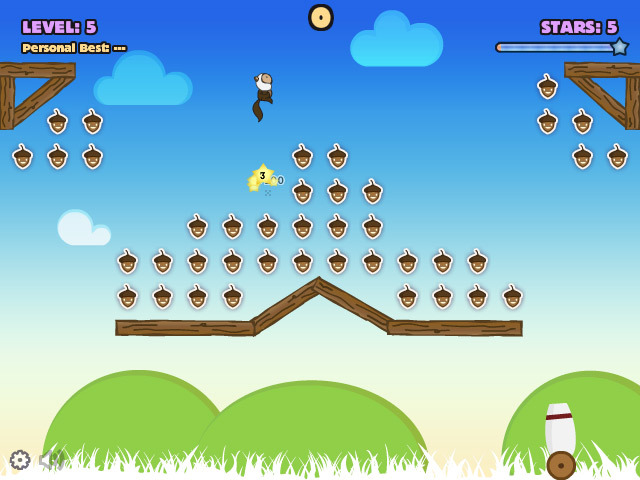 Help this fearless flyer collect all the nuts on each level in this funny online game. 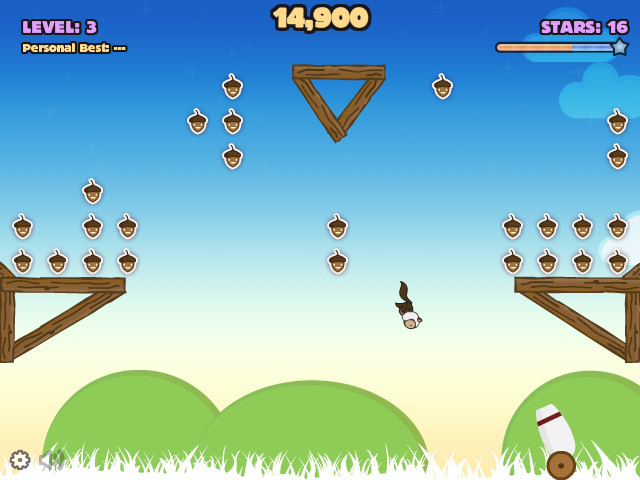 Use your mouse to aim the cannon. Click to fire. Earn stars for collecting multiple nuts and watch for the Big Nut Bonus – this whopper of a nut will provide you with a hefty bonus star boost! Can you help the squirrel?